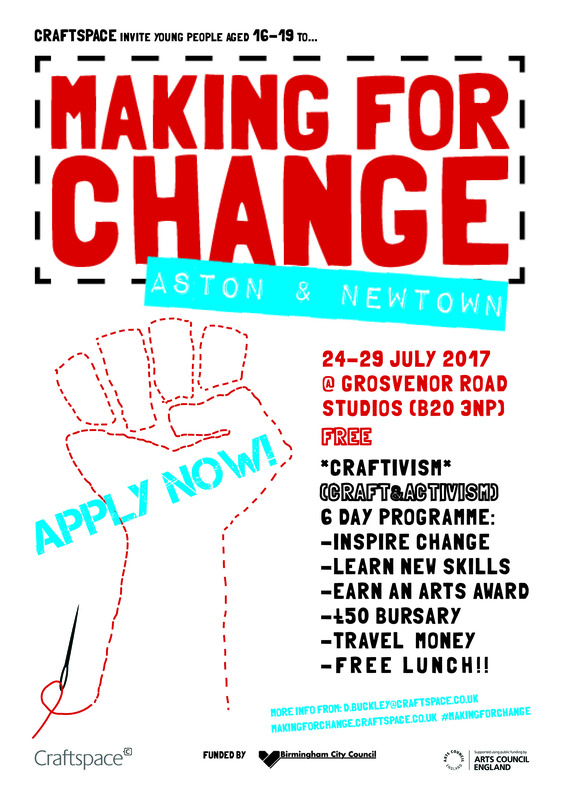 We’re looking for young people from Aston and Newtown, Birmingham to take part in our craftivism programme! Here’s our new poster, share with your friends! 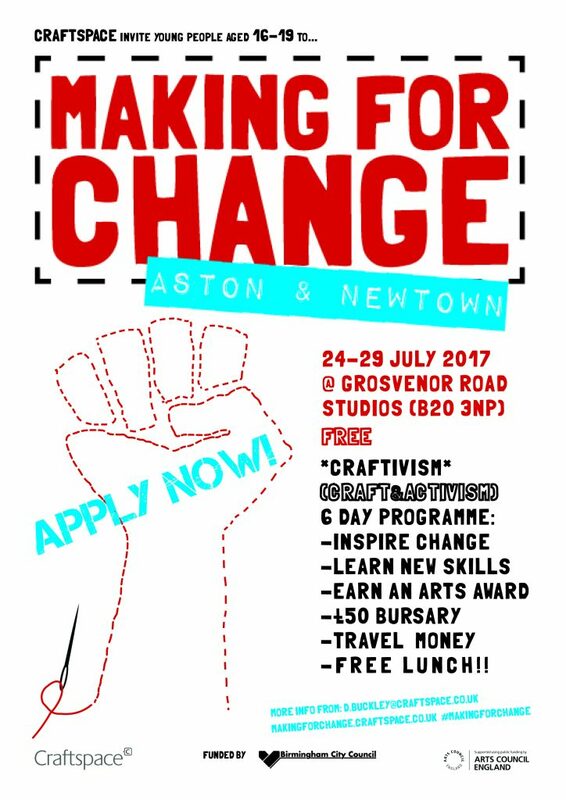 If you want to take part, go to the take part page for more details and to download an application form.